How hard is it to share the gospel with a Muslim? By observing a few basic pointers, any believer can begin effectively sharing the good news of his Creator God. Encountering a Muslim is no longer limited to a handful of Western tourists who happen to visit Egypt, Turkey, or some other popular Middle Eastern destination. Nearly 3.3 million Muslims now call the United States home, another 3 million reside in the United Kingdom, and similar numbers inhabit every other major English-speaking country. So more than ever, Christians in the West need to understand the unique challenges of sharing the gospel with Muslims. Every believer’s heartbeat should be to lovingly share Christ’s gracious work in a way that any precious soul can understand—regardless of his or her religion. This task may sound intimidating, but if you have already studied the basics of defending your faith, you are well on your way. In fact, apologetics (a well-reasoned, Bible-based explanation of your Christian beliefs) is a powerful tool in any kind of evangelism. Whenever you bring up deep topics, such as the purpose of life and eternity, people are easily drawn into fruitful conversations that they find very relevant to their lives. With an apologetics approach, you are able not only to defend your faith but also to lovingly challenge them to reconsider their own beliefs. Before you begin a conversation with Muslims, remember that each person evaluates all “evidence” in light of presuppositions. Presuppositions are those underlying beliefs that drive how we think and interpret the world around us. A Muslim’s presuppositions, usually ingrained in him since childhood, will color the way he interprets everything you say. 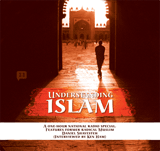 This article will examine the Islamic presuppositions about God and His revelation. By bringing these presuppositions to the surface, you can demonstrate the fundamental flaws in Islam and then graciously point to the truth of the Bible. As the Holy Spirit pulls down “spiritual strongholds” ( 2 Corinthians 10:4–5 ), He can also open the heart and mind of the Muslim to hear the gospel. The next article in this series will examine two other critical issues: the Muslim view of man’s sinful nature and salvation. 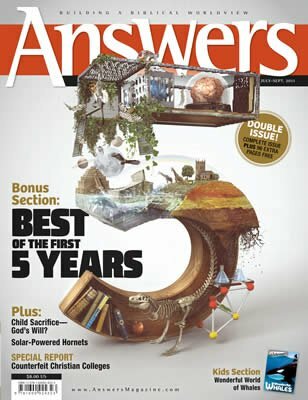 By the time you finish both articles, you should be ready to converse profitably with any Muslim. The Quran’s description of Allah, Islam’s supreme being, creates two insoluble contradictions: he is unknowable but we can know him; and he is merciful, but he has no just cause for his mercy. The Bible, in contrast, gives logical reasons we can know God and find consolation in His mercy. An unknowable, impersonal god. Absolute monotheism is the core presupposition of Islam. The doctrine of tawhid (oneness) in Islam states that Allah is utterly transcendent (Quran 112:1–4). In other words, He is not just monotheistic but a wholly distinct, unique, indivisible, and completely separate (impersonal) being who is unknowable by “personal” beings like us. Allah exists without a place, independent of creation, with no resemblance to his creations. Nothing in all of creation can be compared to Allah. This central doctrine of tawhid creates an interesting logical challenge. How can one know anything about something that is unknowable? The Hadith, or tradition attributed to Muhammad, also teaches that Allah has ninety-nine names that describe various aspects of Allah’s nature and personalities. If Allah is unknowable, then how can we attribute ninety-nine names to him and make him known? The Bible, in contrast, reveals that God is personal, and He has revealed Himself in the Bible so that He can be known. In fact, the Bible teaches that God created mankind for the express purpose of knowing Him personally. A just but merciful god. Islam calls Allah just (Quran 4:40), and to be perfectly just, Allah must punish all sin. Yet the Quran also teaches that Allah is merciful, forgiving those whom he chooses to forgive (Quran 4:110; 73:20). This creates a logical contradiction, which prevents Allah from being either just or merciful. If he is truly merciful, why isn’t he saving people during their life on earth rather than leaving their destiny uncertain until the afterlife, as the Quran teaches? To withhold salvation until the afterlife means that Allah ignores people’s daily cry for freedom from sin and Satan. In other words, he is uninterested in establishing heavenly justice while his followers live on earth, thus liberating them from Satan’s present dominion. Unlike Islam, Christianity offers an answer to the apparent dilemma of a just but merciful God: the substitutionary sacrifice of Christ. Unlike Islam, Christianity offers an answer to the apparent dilemma of a just but merciful God: the substitutionary sacrifice of Christ satisfied God’s justice while enabling Him to show mercy. Unlike Allah, the God of the Bible extends His justice to people while they live here on earth, allowing them to trust Him and be saved now ( Matthew 12:18–21; Isaiah 42:1–4 ). So God’s approach to people, as revealed in the Bible, is both just and merciful. Islam teaches that the Torah was Allah’s first revelation and the gospel was second. But both became corrupted, so Allah gave the Quran to Muhammad to put people back on the right path. Muslims believe the Quran is Allah’s third and final revelation, his perfect, unchanged words. This brings up another contradiction in the Quran. The Quran teaches that Allah’s words cannot be changed (Quran 6:115; 18:27), yet it also teaches that the Torah and Gospels were changed and became corrupted. But the Quran itself teaches that Muhammad changed some of its verses and that his followers shredded the Quran (Quran 2:106; 16:101; 15:90–91). For this reason, it will be eye-opening for Muslims if you encourage them to compare the Quran and the Bible and they discover that the Bible is absolutely trustworthy while the Quran is not. Since Islam teaches that the Bible—especially the first five books of the Old Testament and the Gospels—is God’s Word, it is extremely appropriate to refer to the Bible when you show how Christian and Islamic beliefs differ. Muhammad claimed that the Bible predicted his name and that he would come after Jesus to complete His unfinished mission. After the death of Muhammad, his followers searched the Bible but did not find the name Muhammad. So they announced that the Bible was corrupted. The Christian should challenge the Muslim to consider the possibility that Muhammad was wrong and the Bible is correct. Muhammad gave a second reason that the Bible must be corrupted: Christians and Jews believe that God has children but God does not have sexual desires and cannot have children. Muhammad did not know that God is called a spiritual Father of His people ( John 4:23–24 ) but He was never a “father” of any human as a result of a sexual relationship. The Christian should show the Gospel passages that describe Jesus’s conception and show that no sexual relation was involved ( Matthew 1:18; Luke 1:29–38; John 1:12–13 ). The third reason for claiming the Bible’s corruption is the trinity. The Quran incorrectly teaches that the Christian doctrine of the trinity is that there are three gods: God the father, Mary his wife, and Jesus their son (Quran 5:116). Muhammad taught his followers that Christians called Jesus God and made Mary equal to God, so they believe in three gods. He did not know that the Gospels never call Mary God and that Jesus was the personal revelation of the One true God who, in His desire to build a personal relationship with His people, took on human form ( John 1:14 ) to die for their sins ( Matthew 20:28 ). It is important to correct these mistaken views, which are among the main reasons Muslims have rejected Christianity for centuries. The doctrine of the Trinity deserves special care when you talk to Muslims. Since the oneness of God is central to their thinking, the trinity is a very difficult concept and must be introduced with care. It is usually wise to delay this discussion until the appropriate time, such as when you are explaining Christ’s loving role as Savior. Allah is described as a god of love (Quran 11:90; 85:14). But this is problematic for tawhid, which describes him as impersonal. Love requires a personal nature that searches for another personal object on which to express love. (In other words, love exists only between two persons.) Love cannot be attributed to an impersonal being. Also, since Allah is impersonal, he is without multiple persons in his own being on which to show love before creating the world and teaching love to his creatures. If Allah did not have the attribute of love before creation, how could he create beings with this attribute? A nonloving God cannot create loving creatures. Unlike in Allah, the very nature of the triune God of the Bible is love ( 1 John 4:8 ). Each person of the Trinity— Father, Son, and Holy Spirit—has loved each of the others from eternity. The triune God has always had an object for His love. Indeed, God’s desire to reveal His loving nature in each Person is the very reason He expressed His love to humanity. As the Father, He loved to save people; as the Son, He put that love into practice; and as the Holy Spirit, He carries His love through to the end. We will examine this important topic in more detail in the next part of this series. God created all human beings, including Muslims, with freedom of choice and the capacity to listen, read, and understand. By God’s grace the barriers that separate anyone from Him can be overcome. Unless the barriers and misconceptions are pointed out and corrected, they cannot be removed. The Christians’ challenge is to understand the basic presuppositions, practices, and shortcomings of Islam so that they can give well-reasoned arguments for the Bible’s truth, which God can use to reach the Muslim. The Torah states that God created man in His own image and good ( Genesis 1:26 ); the Quran states that Allah created man in toil and trouble (Quran 90:4). The Torah states that people have a right to inquire about the prophet’s words and deeds ( Deuteronomy 18:20–21 ); the Quran states that people have no right to question the prophet and his successors at all (Quran 33:36; 59:7). The Gospels state that lies come from the devil in whom is no truth ( John 8:44 ); the Quran states that lying is legitimate under certain circumstances (Quran 2:225; 3:28; 16:106). The Gospels state that Jesus died, was buried, and rose on the third day; the Quran states that Jesus did not die but was raised alive into heaven (Quran 4:157–158). The Gospels declare Jesus to be the Son of God; the Quran declares Jesus to be a mere man—albeit a prophet—but not the Son of God (Quran 9:30). Jesus said, “ I am the way, the truth, and the life. 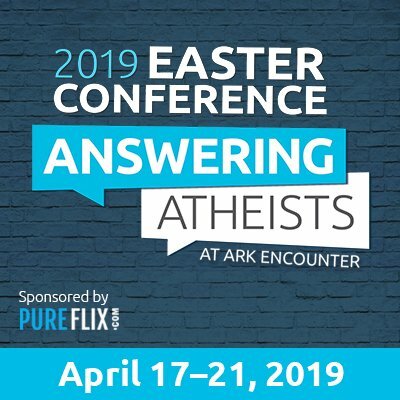 No one comes to the Father except through me ” ( John 14:6 ); Islam rejects this concept and teaches that Jesus was a prophet but Muhammad was a greater prophet. The Quran contradicts the Torah and Gospels in hundreds of other ways, too. The Quran cannot be true if it confirms the Torah and Gospels and yet contradicts most of their key doctrines. Rich Wendling, an Answers in Genesis–USA employee, is currently earning his masters degree in theological studies from Liberty University (Virginia). For thirteen years, he taught science, social studies, and math in public schools. 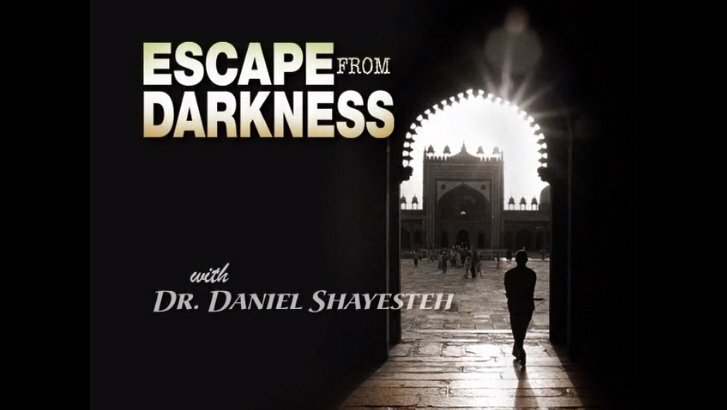 Daniel Shayesteh, a former radical Muslim, travels wherever possible through his ministry Exodus from Darkness to provide insight into the Quran’s teachings regarding salvation, Adam and Eve, and Christians. He has written numerous books including Islam and the Son of God.